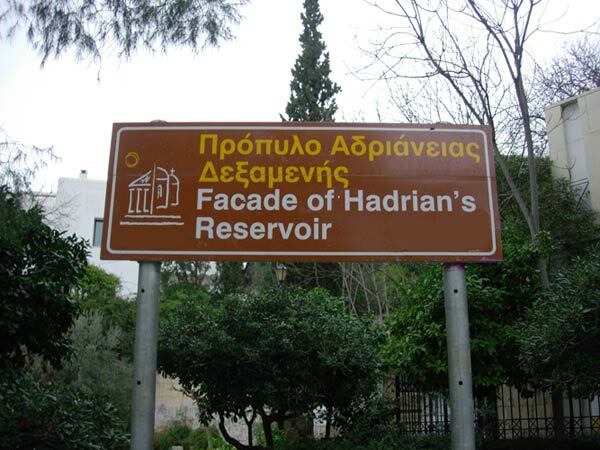 Hadrian built a 500 cubic-metre cistern to collect the water from the aqueduct and supply Athens with a constant flow of water. 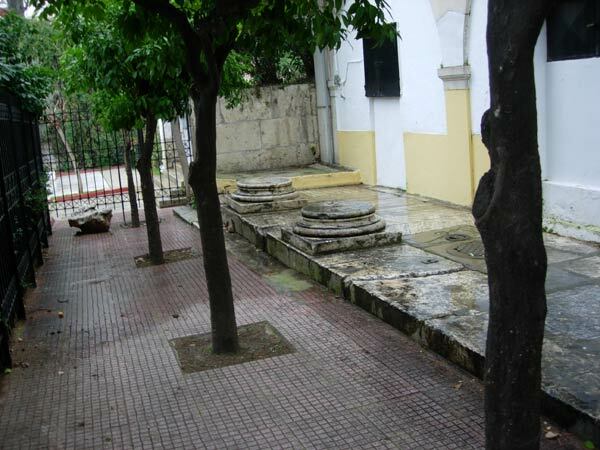 The cistern was situated on the hill of Likavitos - in the area of modern Kolonaki. 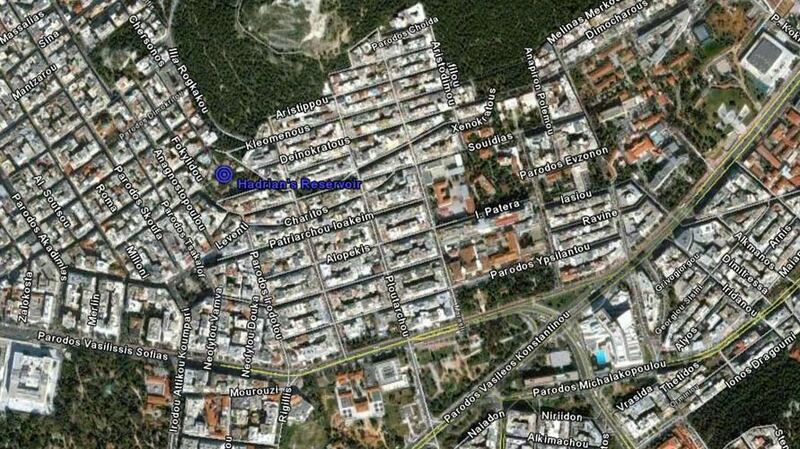 The geographical location is: 37°58'44.26"N, 23°44'29.94"E at an elevation of 150m above sea level. 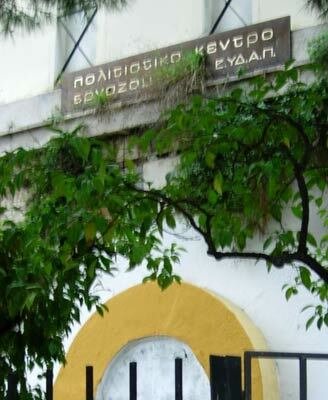 The sign for the reservoir in Kolonaki. 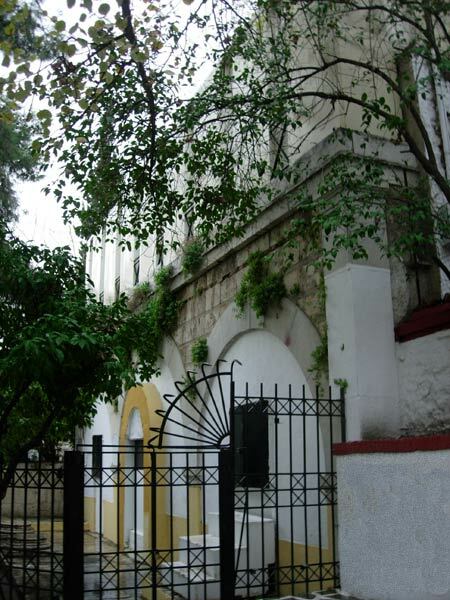 The facade of the cistern. Two coloum bases in front of the facade. 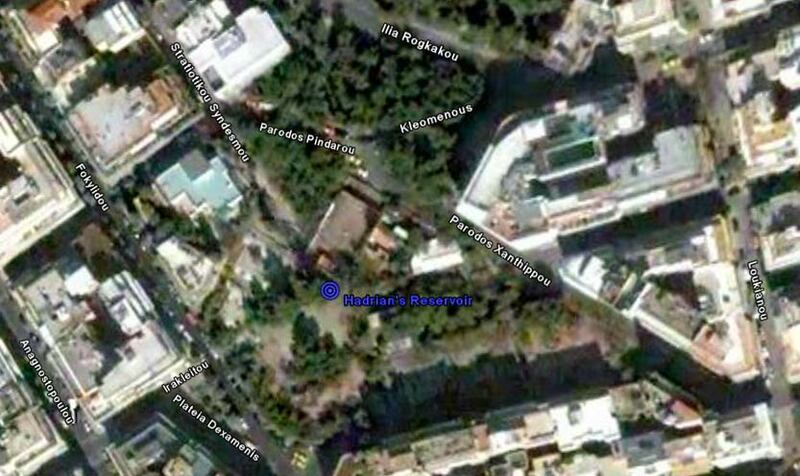 The national water company (ETHAP) own the property.